(VEN) - With favorable a geographical location, rich natural resources and stable economic growth rates, the northern midland and mountainous region has become one of investment destination in the country. (VEN) - Aware that it’s not easy to achieve the US$1.3 billion target set for foreign direct investment (FDI) attraction in 2013, the Hanoi People’s Committee has proposed a number of measures to boost FDI attraction. (VEN) - The investment environment in Binh Duong is improving. The province has concentrated on attracting investment in sectors such as electricity, electronics, engineering, pharmaceuticals and chemicals to promote rapid and sustainable economic development. (VEN) - Thai Nguyen Province attracted US$3.5 billion in foreign direct investment (FDI) in the first ten months of this year and is expected to increase FDI to US$5 billion by the end of the year. Vietnam Economic News’ reporter Nguyen Hoa spoke with Thai Nguyen Province Party Deputy Secretary and Thai Nguyen Province People’s Committee Chairman Duong Ngoc Long. (VEN) - Ho Chi Minh City attracted 391 foreign direct investment (FDI) projects with total registered capital of US$860.55 million in the first 10 months of this year, while allowing 113 ongoing FDI projects to increase their capital by US$645.93 million. (VEN) - The National Steering Committee on ODA and Preferential Loans recently got together with six development banks to organize the Eighth Joint Portfolio Performance Review (JPPR 8). Thai Binh Trading Corporation would build two factories to manufacture washing powder and paper nappy in Cuba with the total investment capital of US$23 million, according to CEO and Chairman of the corporation, Tran Thanh Tu. 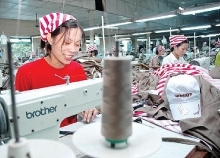 Will foreign manufacturers stop production in Vietnam?